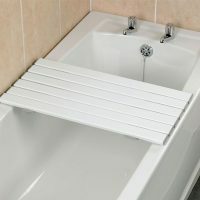 A luxury product combining a bath board with a bath seat, ensuring correct alignment with no possibility of movement between them. 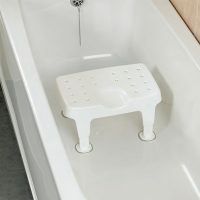 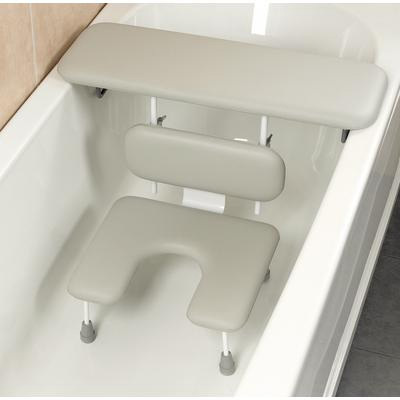 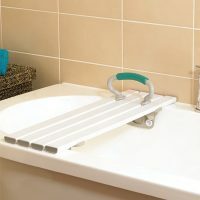 The frame is adjustable to allow for variations in bath depth, while both the seat and board are padded for maximum comfort. 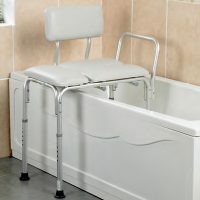 Available with either standard or front cut-away seat for easier personal cleansing.